I joke about wishing dynamic bones were removed from the whitelist, but given how performance-intensive the script actually is, it would be nice to have a method of disabling or limiting them that's clean and simple to use for the end user. I, personally, don't care to see someone's lazy 50-bone-chain dynamic bone hair, 30-bone-chain dynamic bone skirt, and 500-bone-chain dynamic bone breasts(for the most realistic jiggling action, of course) if it means killing my performance. It'd be great to have a system menu option if possible, but even just something like the particle limiter introduced back in June would be nice to have. I have no idea if anything like this is in the works or how doable it would be without messing with any other systems currently in place. @Tupper - Community Manager: I would like to thank the Academy. Great news to hear, I personally will have them limited at around 150~. But as for default values would just make sense to have 50 (public avatar upper limit) as to 32. 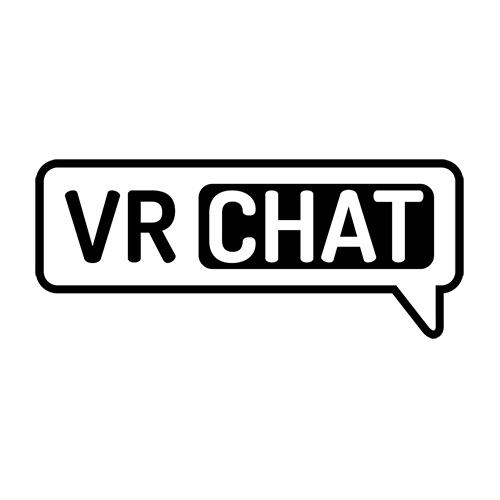 This is slated to be implemented in the next VRChat release, 2019.1.4. The limits currently mentioned in the wiki are way too harsh. 8 Collider checks and 32 dynamic bone transforms? That might work for 1-3 Bones at best. I personally consider below 150 optimized, 150-300 medium, 300+ poor. A minimal System that can handle VR should be able to deal with 150 transform without issues. At least make it possible to enter the limits directly via menu without configuring an extra file and allow them for friends. This is what makes avatars feel alive. I really enjoy some dynamics on them and this patch is totally gonna destroy it without a doubt. Reconsider the defaults to something more reasonable. @nexolight: if you need more than 32 dynamic bones, you're using the component incorrectly. I recommend checking the Dynamic Bones™ documentation, included in your purchase of Dynamic Bones™ on the Unity™ Asset Store™. @bote: People who get very high numbers from 300 up to 3k+ are using them obviously wrong. I'm aware how to limit the usage to a minimum. I usually get mine below 50. 32 Is a bare minimum to make it look remotely ok. It's not gonna work out for a good looking avatar. weight painting doesnt help there. A bare minimum should not be the default. A medium perfomance value should be because that is more accurate to the average hardware used. Just as @Yuumi I'm fine to limit them down to 150. Maybe further. It seems like an acceptable value to me given that I can handle 8k in a room without much issues. Also considering people with less powerful hardware. This is just gonna be my opinion against yours. I'm entitled to have mine regarding this. If you don't agree thats fine. But I let you know that I'm not new to this dynamic bone stuff. @nexolight: Dynamic bones isn't meant for that many bones, period. It's meant for very short bone chains. If you do your bone setups correctly, you really do not need more than 32 bones. 32 is generous, when considering the performance cost, especially when people are using colliders with them. @bote: I strongly disagree. Period. @nexolight: That's a shame, because the documentation included with your purchase of Dynamic Bones would also disagree with you. @bote: Either I'm unable to find the documentation you mention or your making things up. See I actually paid for a licence. The actual package has a small readme that explains the details of the component. That's about it. There's absolutely nothing mentioned regarding this. @Simon løvschal: Your opinion's wrong. @bote: no he doesn't. but i can see your a kid. by saying that. @Simon løvschal: Do you mind listing all the games you've made that use dynamic bones with 100+ long bone chains? Still waiting on this, Performance Rank system merely tells people they're a problem, but doesn't help deter it. People just ignore the warnings. This should of been bundled into the safety settings as people are creating Crashers with Dynamic Bones. Hey! I've been really looking forward to this feature since it got marked as "In Progress." Is it possible to have some insight as to when we can expect this? maybe include the "cloth" component aswell? I'm using that now for awhile on one of my avatars instead of dynamic bones, so I think the toogle/slider should be called "physics" or something like that. It should also include character and hinge joints. they kinda serve the same purpose of adding physics. Just make switchable option in Safety menu like sounds switch. We need this to happen, even if it only means a 5 FPS increase! Going from 40 to 50, 50 to 60, or even 24 to 30 could make the difference from unplayable to playable. @Catty Boxer: Seriously? Interesting...I'll definitely have to try that! With the new Safety system in place, Dynamic bones could be another one of the features that could be enabled or disabled based on settings. I would love to be able to scale down on features on avatars rather then having to literally hide all avatars to be able to last in a busy world as of right now. @PJ/Laser: Vulkan support exists in the outdated version of Unity that VRC uses, but it's probably somehow out of date / not used to the greatest extent possible in 5.6.3p1. I feel upgrading the unity that this game uses would be more benaficial to this problem of performance than anything. @cudda wudda: The dynamic bones script itself is a major issue. It's old, doesn't get updated, and runs on a single core no matter what unity version you're running. I remember manually force disabling dynamic bones to test its impact in Vrc but the difference was negligable.. Seems that there are way greater performance bottlenecks hidden somewhere else. @Harry Godden: how many dynamic bones were you blocking though? Many people go overboard and will put it on 50 bones on a single avatar, with colliders as well. Colliders being an even bigger issue, since they act like a multiplier on the poor performance. With a group I frequent, we've tested dynamic bones ourselves both ingame and in unity benching, and it's way more than "negligible." The only thing that could come close to how bad performance is with dynbones seems to be the FBT IK. @bote: Yeah I also noticed benchmarking in Unity alone it had a huge effect, 30 - 50% framerate increase on a decently optimized character copied 16 times. But I was somewhat disappointed to see only a few frames (~5) being gained when I toggled them on and off in public worlds..
As an example I tested other things like mirror render resolution, having them at 1/4th resolution made way more of an impact than dynamic bones did. We're aware of dynamic bone and some other related stuff. There's another system coming to address that and those sorts of things. More news soon. Hey Bote, this is a duplicate of another, slightly more upvoted, older thread. https://vrchat.canny.io/feature-requests/p/use-configjson-to-have-an-option-to-disable-dynamic-bones Just wanted to give you a heads up so that one post can get more upvotes and be more obvious that the community wants this feature. @Blue Ruby: Sorry, I searched a bit before but canny's search feature isn't very good! Thank you for the heads up! I noticed that the new beta has a bunch of new features to block different aspects of a user and their avatars based off of a ranking system! It would be really great to have dynamic bones added to this list now that such a system is in place. Totally agree with this. And I like OhBaNoBa's slider idea. It would also be good to have a limit in the SDK on how many dynamic bones one uses. Tbh, for a properly optimised avatar, I don't see why we'd need more than 50 (that's being generous) dynamic bones. I like that you said toggle. I suggest a slider for full, friend only or disabled..
@OhBaNoBa: A slider would be okay by me! I'd keep mine on disabled though, since my friends are jerks with dynamic bones! I didn't proof read this so no bully thanks.